Barcelona and Manchester United are all set to meet in what will be an exciting clash of the heavyweights in the quarter-final stage of the UEFA Champions League this season. Both teams boast of world-class superstars who will undoubtedly put up an impeccable show whilst trying their best to lead their sides to the penultimate stage of the competition. While it is clear that one has to be the best in the business to play for gigantic clubs like Barca and United, some players have had the talent as well as the fortune to don the famous jerseys for both these European juggernauts in their illustrious careers. Brought in as a youth academy product by Manchester United back in 1980, Mark Hughes went on to make his senior debut for the club in 1983. The forward quickly established himself as a part of the first-team, and impressed heavily in the three seasons he spent during his first spell at the Old Trafford club. The Welshman was then recruited by Barcelona for £2m in the summer of 1986. However, he failed to make his mark in Spain, and after a poor season with the Catalans, he was loaned out to Bayern Munich in the subsequent campaign. In May 1988, Hughes was re-signed by Sir Alex Ferguson for a then club-record fee of £1.8m. He immediately became a vital member of the Red Devils’ squad, winning two Premier League titles, three FA Cups, an European Cup Winners’ Cup, an European Super Cup, and several other collective and individual accolades. Coming through the ranks of Barcelona B, Jordi Cruyff, son of the legendary Johan Cruyff, made his senior debut in September 1994. He spent two impressive season with the Catalan giants, before deciding to leave the club and sealing a direct switch to Manchester United. His time in England was riddled with injuries. He was loaned out to Celta Vigo midway through the Reds’ treble-winning season in 1999, but the Dutchman still managed to bag himself a Premier League medal in 1997. Now a talented manager, Blanc spent his playing career as a sweeper defender. He was a vital part of the French national team, having led Les Bleus to the World Cup title in 1998 and the Euros in 2000. In 1999, he was also voted as the fourth-best French player of all time by the readers of the France Football magazine. Naturally, a player of his calibre managed to play for as many as nine top clubs from all across the continent. His move to Barcelona arrived in 1996, largely due to his eagerness to play under Johan Cruyff. However, Cruyff was sacked immediately after Blanc’s arrival, and the defender’s spell in Spain was injury-riddled and far from a happy one, and it did not last for more than a season. 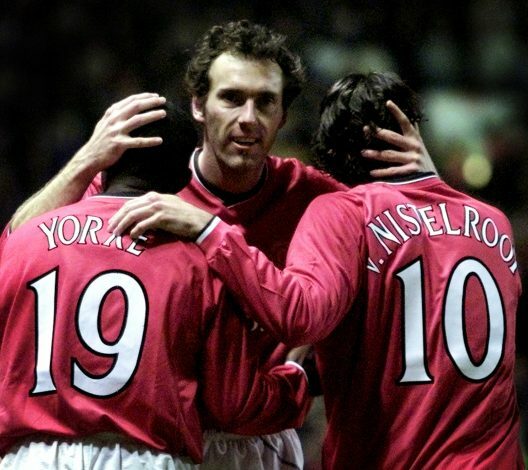 Blanc joined Manchester United for a final hurrah in 2001. His time in England began with a lot of criticism, but he did help the Red Devils secure a Premier League title in his second season under Sir Alex Ferguson, following which he hung up his boots as a professional footballer. Larsson is widely regarded as one of the greatest Swedish footballers to have ever graced the game. After having run down his contract with Celtic, the talented striker secured a free transfer to Barcelona in the summer of 2004. He spent a majority of his first season in Spain on the sidelines due to numerous injuries, but his second term was far more impressive. Larsson was heavily responsible for ensuring Barcelona‘s continental triumph at the end of the 2005-06 season, as he came on as a substitute to assist the two goals that helped his team beat Arsenal 2-1 in the 2006 Champions League final. After departing from Barca on yet another free transfer, the forward headed back to Swedish outfit Helsingborg. During the Allsvenskan off-season, however, Larsson enjoyed an unusual 2-month loan spell at Manchester United between January and March 2007. He represented the Red Devils only 13 times in all competitions, but Sir Alex Ferguson ensured that the Swede received a Premier League medal following their title win at the end of the campaign. Despite having come up through the ranks of Barcelona, Gerard Pique signed his first professional contract with Manchester United, making his senior debut for the English outfit in October 2004. The centre-back won a Premier League, a Community Shield, and a Champions League title with the Mancunian giants, before returning to his boyhood club in 2008. 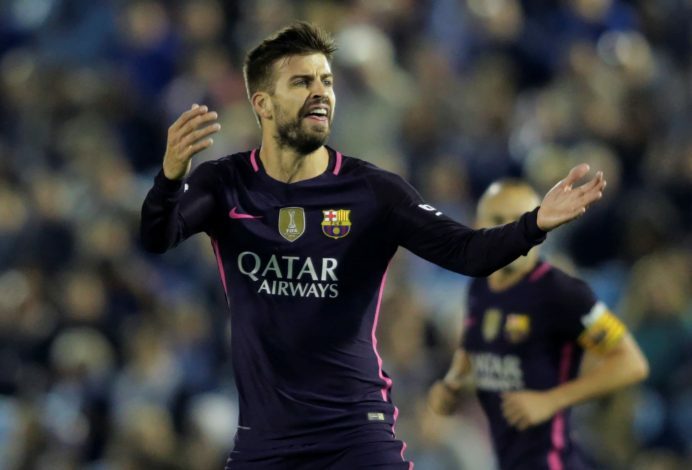 Now in his eleventh season at the Camp Nou, Pique has already won innumerable trophies, and the 33-year-0ld will undoubtedly go down as a certified legend at the Catalan club. Another graduate from Barca’s academy, Valdes made his senior debut in August 2002, but it wasn’t until the 2003-04 season that he emerged as the team’s first-choice custodian. His most successful years were spent in Spain, where he won six La Liga titles and three Champions League crowns with the Blaugrana, amongst numerous other trophies. He left Barcelona at the end of the 2013-14 season on a free transfer, and in October 2014, Manchester United offered him the chance to complete his rehabilitation from the knee injury he had suffered earlier that year. The Spaniard signed an 18-month contract with the Reds in January 2015, but made only two senior appearances before he was unceremoniously placed on the transfer list by then gaffer Louis van Gaal in July 2015. Valdes officially departed from Old Trafford on loan in January 2016, and sealed a permanent switch in the subsequent summer. The well-traveled striker left Inter to join Barcelona in the summer of 2009, with Samuel Eto’o heading in the opposite direction. While the Swede contributed on a regular basis at his new club, his relationship with then manager Pep Guardiola broke down towards the end of the season, as Zlatan was forced to play out wide to accommodate Lionel Messi in a more central position. His feud with Guardiola led to his departure from Spain within one campaign, and Ibrahimovic was loaned out to AC Milan – a move that was later made permanent. The decorated forward joined Manchester United on a free transfer in July 2016, where he reunited with his former Inter boss, Jose Mourinho. Zlatan was instrumental in his first season with the Red Devils, leading them to three titles that season, including their first ever UEFA Europa League trophy. He sustained some serious ligament damage in his right knee during the tail-end of his debut campaign in England, from which he never truly recovered whilst in Manchester. His contract with the Premier League giants was terminated in March 2018. Alexis Sanchez joined Barcelona from Italian club Udinese in July 2011, becoming the first Chilean footballer to play for the Catalan outfit in all its glorious history. He spent three successful seasons in Spain, forming a deadly attacking trio alongside Lionel Messi and David Villa. However, the high-profile arrival of Neymar in 2014 saw Sanchez depart from the Camp Nou, and he secured a move to Premier League giants Arsenal. 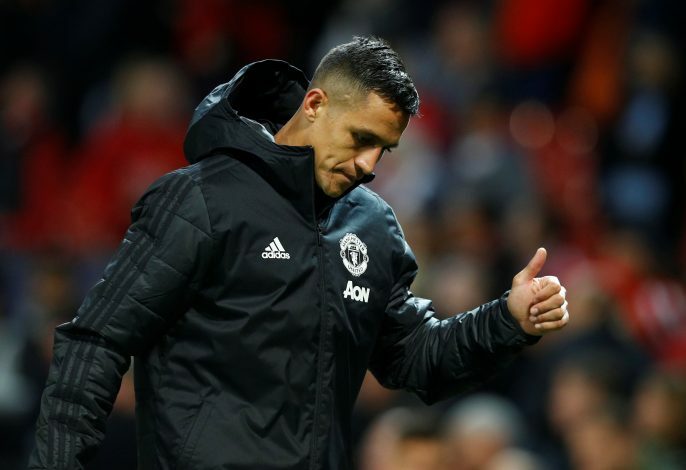 After three-and-a-half seasons at the London club, Sanchez shocked the world with a switch to the Gunners’ direct rivals Manchester United, taking up the legendary number 7 shirt at the Theatre of Dreams. The Chilean has now been with the Red Devils for more than a year, but has merely been a shadow of his former self, having failed to match up to his old impressive antics.